Morocco’s thrust in the renewable energy sector could yield additional benefits of creating numerous green jobs. A new report published by the Mediterranean Forum of Institute of Economic Sciences claims that Morocco could have up to half a million jobs in the renewable energy sector by 2040. Most of the renewable energy jobs are expected to originate from the Noor-Ouarzazate solar power complex which will host a number of projects based on different solar power technologies. The Moroccan Agency for Solar Energy (Masen) recently enhanced its target to set up 4 gigawatts renewable energy capacity by 2020 to 10 gigawatts by 2030. The Noor-Ouarzazate solar power complex will likely be the backbone of such large-scale expansion. Saudi Arabia-based ACWA Power is aggressively working on several power projects that will form part of the solar power complex. The company has already commissioned a 160 megawatts concentrated solar power project based on parabolic trough reflectors – Noor I – and is working on Noor II (also based on parabolic trough reflectors) and Noor III (based on power tower technology). Additionally, ACWA Power is also working on a 120 megawatts wind energy project. The company signed an agreement with Vestas for supply of 40 units of V90-3.0 turbine for Khalladi wind park being developed in Tangiers. Morocco’s enormous investment in renewable energy is completely justified as the country is almost entirely dependent on imported fuel. Morocco spends 10-12% of its gross domestic product to import energy. The possibility that Morocco could have half a million renewable energy jobs by 2040 is remarkable as, according to the International Renewable Energy Agency (IRENA), globally around 8.1 million renewable energy jobs existed in 2015. 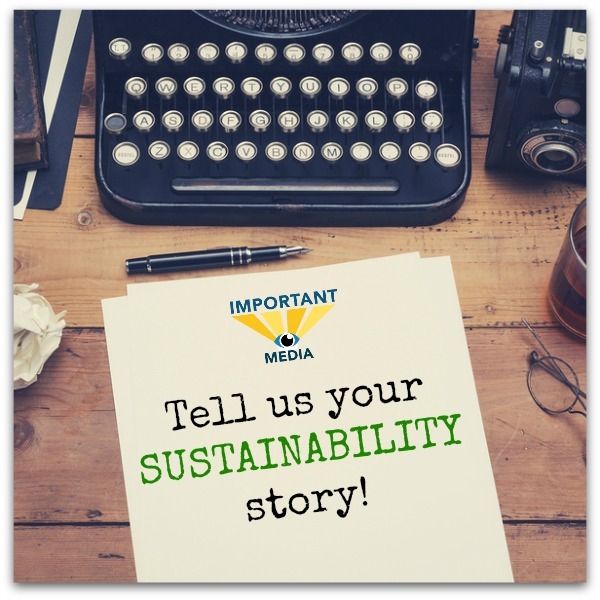 Tell Us Your Sustainability Story! That’s right, we want to hear from you! Important Media (the parent company of CleanTechies and 20+ other sites!) is offering you a chance to share your story with our readership to help us move the global sustainability conversation forward. We’re looking for the good stuff here: stories that will truly benefit our readers, inspire others start a green business, or help someone move their career or education towards sustainability. Whether you’re working in a cleantech startup or harvesting organic veggies, we want to know what inspired you to travel this path, and why you’ve chosen the green life. If approved, we will turn your submission into a story on a relevant Important Media website. We do promise to read every submission, but we do not guarantee publication. And let’s be clear: we’re looking for engaging and unique stories about people working in sustainability– this is not the place to post press releases, announcements, or product features. If that is what you’re looking for, please visit our Sponsored Post form. Let people know about your passion and inspirations, and give us insight into your sustainability career. To share your story, click over to Important Media and fill out the simple form. You’ll have a chance to add images and links. Our admin team will contact you with questions and follow up as needed. Click here to begin your submission! Are college graduates switching their white-collar ambitions for green-collar ones? A 24 percent growth rate in installed green roofs in 2012 is part of the results of the Annual Green Roof Industry Survey. Sunny Florida has sufficient sunshine to power 20 million homes. Florida Gov. Rick Scott (R) when campaigning vowed to create 700,000 jobs. Upon election, he axed programs that centered on renewable energy. The Sunshine State now ranks dead last in creating green jobs. That’s right, it ranks 50th. (Vermont is #1). Renewable energy jobs are growing in 2012 and in spite of grim employment forecasts, they will continue to grow in 2013 and beyond. One of the leading green job sites, The Green Job Bank, reported that the listings on their site doubled in the first quarter of 2012 compared to the figures for 2011. There has been an explosion of cleantech clusters around the world, promising to help accelerate financing, growth, job creation and the next generation of sustainable technologies. Contents of this article were recently published in Environmental Finance (March 2012). With International Women’s Day (March 8th) fast approaching, it’s time to talk about women and the green energy labor market. A recent report released by the Department of Labor, entitled “Why Green Is Your Color: A Woman’s Guide to a Sustainable Career” highlights the fact that green jobs tend to be dominated by men. However, opportunities abound for women as well. Is Renewable Energy a Threat To Economic Prosperity? Will Rush Limbaugh save the solar industry? Looks that way for Toni Lynch in Allentown, Pennsylvania. And Spiro Basho in Hicksville, New York.